RESORT setting on +/-1.75 acres! 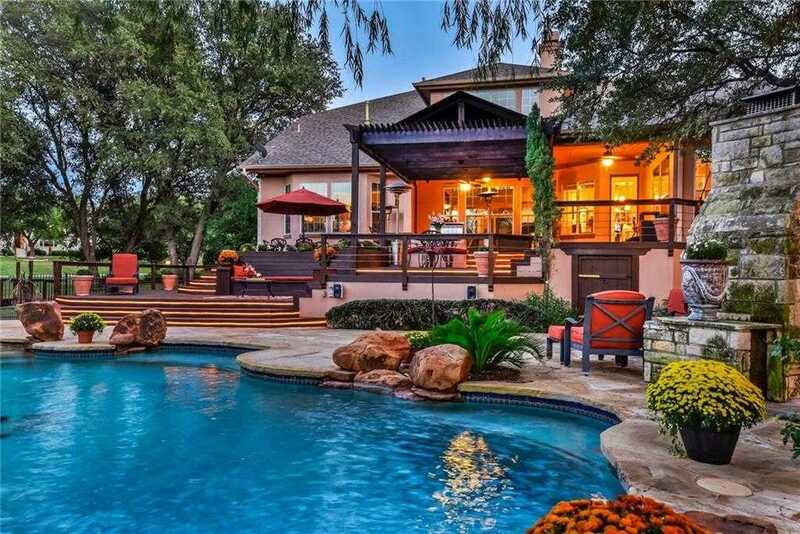 This TROPHY property boasts a hotel-grade pool, 3 ponds, 2500sf of Brazilian hardwood decking, waterfall, spa, pond, outdoor kitchen, outdoor fireplace, and MORE! Main level features majority of the square footage with generous master, private office, oversized media room, guest room, 2 living, 2 dining, wet bar, and commercial grade kitchen! Enjoy both family and friends in this tranquil and exquisite setting! Light, bright and ideal for entertaining! LOW tax rate!! Please, send me more information on this property: MLS# 9302540 – $935,000 – 16704 French Harbour Ct, Austin, TX 78734. I would like to schedule a private showing for this property: MLS# 9302540 – $935,000 – 16704 French Harbour Ct, Austin, TX 78734.